Miley Cyrus, Katy Perry, The Killers and Eminem were among the stars who performed in Amsterdam on Sunday night at the MTV EMAs, which gathered a record 292 million votes online. The theatrical awards ceremony, hosted by MC Redfoo from the band LMFAO who stripped down to a speedo in the opening minutes, was heavily promoted online with initiatives like the 'biggest fans' award. Fans could help their favourite artist win by engaging with MTV content and using the #EMABiggestFans hashatg, which was tweeted more than seven million times in the runup to the event. On the night, the award went to the German rock band Tokio Hotel. Music fans with large Twitter followings were chosen by MTV to announce the regional nominees for the 'worldwide act' award through their personal Twitter accounts. MTV also created a new MTV EMA 2013 badge on the social network Foursquare, though a tie-up with the platform. Users could unlock the badge to recive locally relevant tips about Amsterdam. One moment which received considerable media coverage was Miley Cyrus smoking a joint of cannabis on stage, after accepting the award for best video, for her single ‘Wrecking Ball’. The 2013 MTV EMA claims to being the world’s biggest night in music, with the show’s premiere enjoying a growth of +137% year over year among its core 12-24 demographic, according to ratings data from key markets. Among the wider 12-34 demographic, this year’s EMA is reported to have grown 128% in key markets compared to last year’s telecast. Held at Amsterdam’s Ziggo Dome, host country the Netherlands reported a huge, triple-digit increase of 162% versus last year among 12-24s and delivered MTV’s best Sunday prime time performance of 2013. 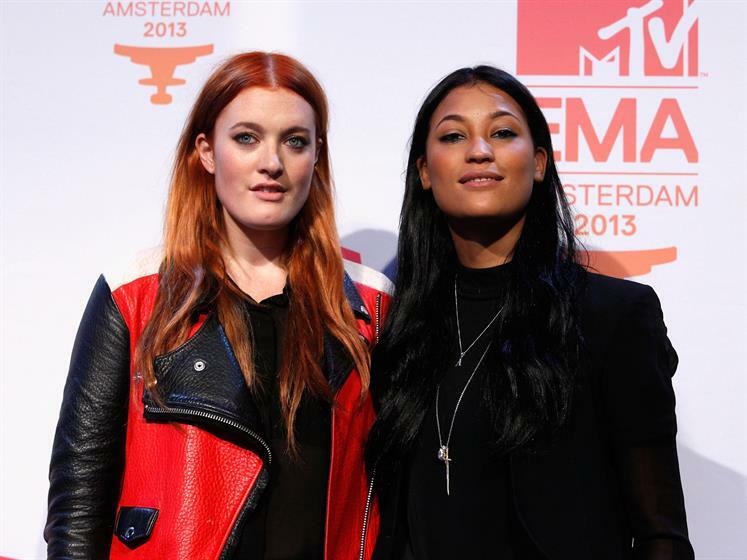 In the Netherlands, MTV was the #1 channel for 12-24s among its main competitors during the EMA timeslot. Other key markets that saw significant growth include the UK, where the EMA was up 169% compared to last year among its local demo of 12-24s. In Italy, the EMA achieved double-digit year-on-year growth of +14% among its core demo of 12-24s. This year’s EMA was the #1 show in Spain for 12-24s among MTV’s main competitors. This early ratings data suggests the 2013 MTV EMA is on course to achieve a higher consolidated worldwide audience than last year, when an estimated 39.4 million viewers tuned in to the 2012 show from Frankfurt – a record global audience for the awards show since its launch in 19942.